For me what is more disturbing are the flags on the sides. The flags are electoral propaganda. Yeah it is time for new elections. The candidate paid someone to put the flags there because it is a really busy area. 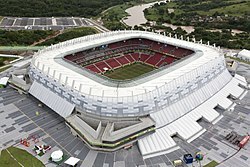 Arena pernambuco. Foto credit: Sergio Dutra. What? It doesn’t make any sense. 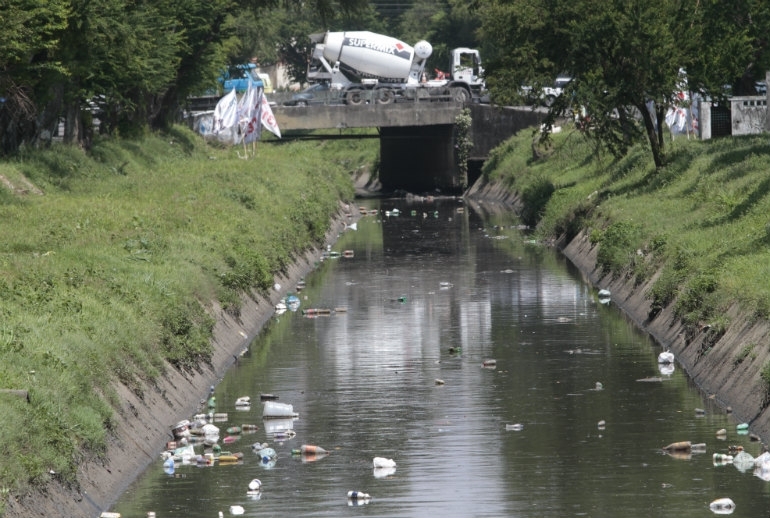 In addition one of the biggest soccer stadiums in Brazil is located not only in the same city but in the same neighbourhood of the polluted water channel. This is so true, money is often put for profit purposes first, a problem all counties rich or poor have in common. Infrastructure takes priority for investors if there is only a guarantee return. Kids drinking polluted water,. there is no return on that. Sad!.